The Pennsylvania Department of Transportation is currently in the process of completing the final phase of the Route 28/East Ohio Street reconstruction. Work will conclude by the end of this 2014 construction season, sometime by November or December. The sidewalk trail and memorial to St. Nicholas N.S. is currently on schedule to be completed by then. 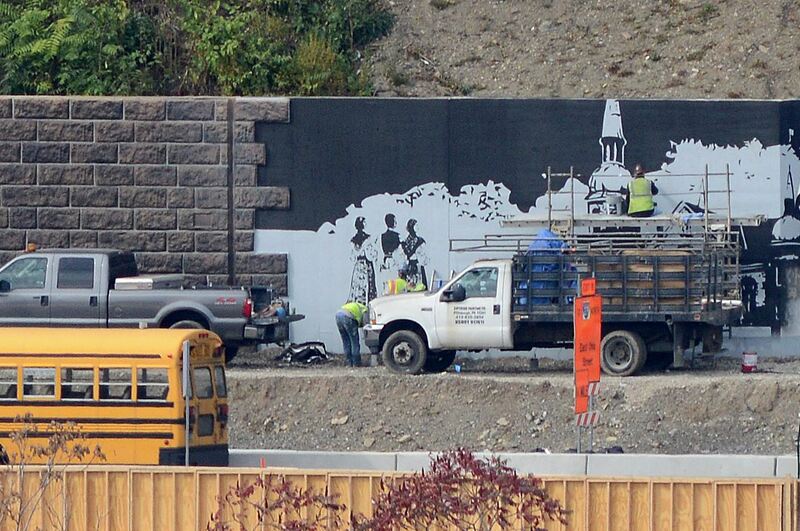 After four years, construction on Route 28 is ending with an artistic flourish. 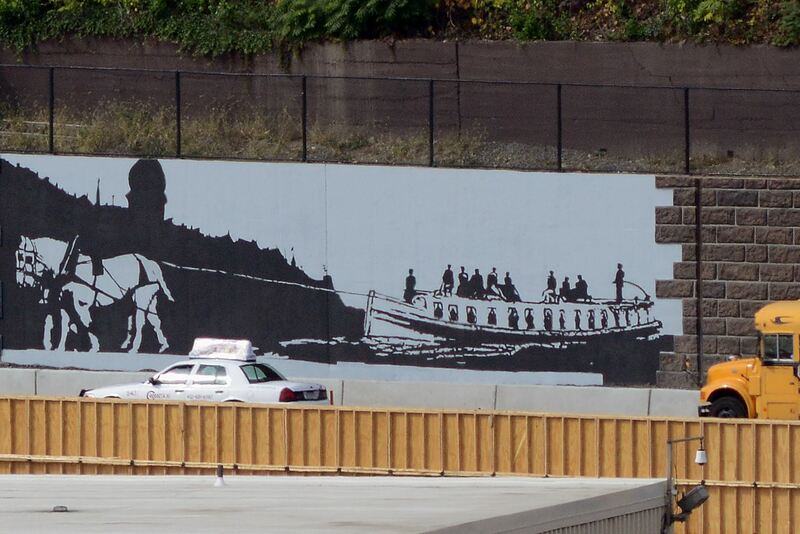 Workers as of last week had completed installation of four of six art panels on a retaining wall, depicting the rich history of the area. The images were drawn from a time before motor vehicles became the dominant feature of the corridor. 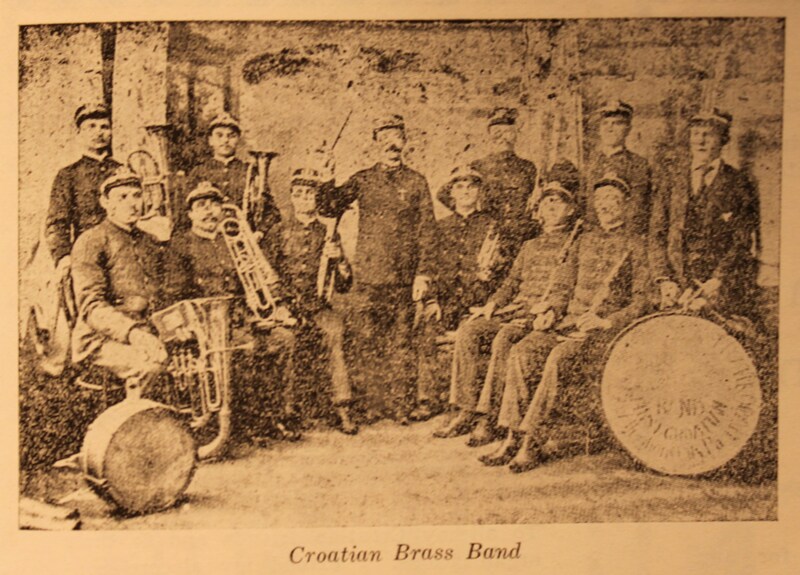 Many additional photographs have been added to the PCHF website. Please click here or on the Gallery tab to view a variety of historical photographs of St. Nicholas N.S. The gallery has been updated with numerous interior and exterior photographs of St. Nicholas N.S., the Grotto, former Convent and St. Nicholas school, as well as an extensive series of demolition photographs from 2013. 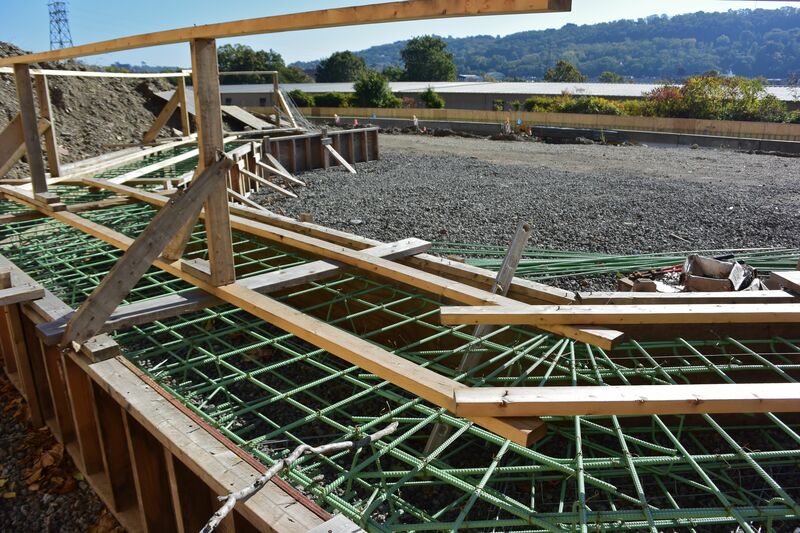 St. Nicholas Church is gone, but the landmark building along Route 28 will be commemorated with one of 21 new state historical markers. 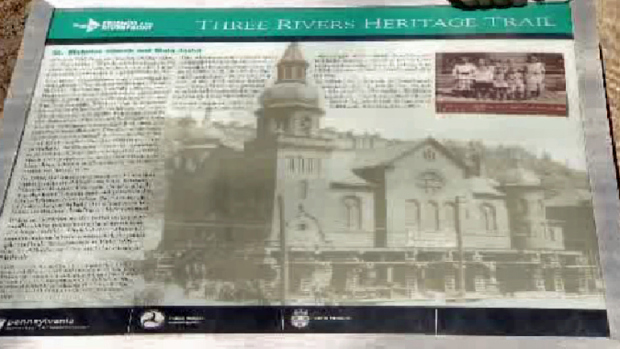 The marker will become part of a memorial plaza that will pay tribute to the Croatian community that developed on Pittsburgh's North Side starting in the 1890s. 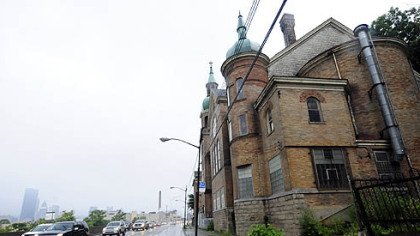 PA Historical Marker Approved for St. Nicholas Croatian Church, N.S. © Copyright 2015 PCHF. All Rights Reserved.